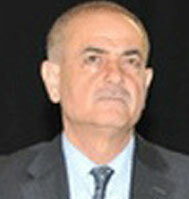 Brigadier Naji Malaeb joined INEGMA on May 2009 as a Senior Researcher and Assistant General Manager. Brigadier Malaeb graduated from the Military School in 1975 and then served for 37 years in the Lebanese Internal Security Forces through which he earned several honors and medals. He took part in many seminars and conferences on financial crimes, international terrorism and human rights. He is a member of the International Association of Chiefs of Police - USA. Before retiring in the beginning of 2009, he established and chaired the human rights department in the Ministry of Interior where he conducted several workshops and conferences to reshape the performance of ISF forces and bring Human rights principles. He is now a resident analyst at INEGMA and a major researcher planning and contributing to INEGMA’s conferences.